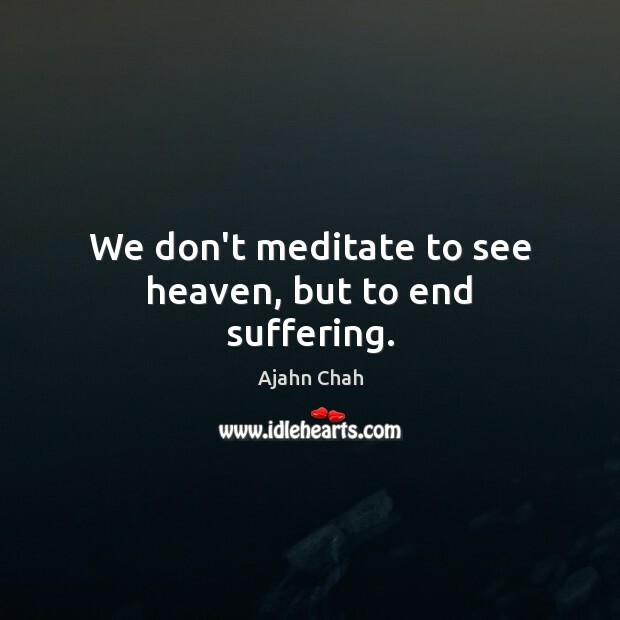 Enjoy the best inspirational, motivational, positive, funny and famous quotes by Ajahn Chah. Use words and picture quotations to push forward and inspire you keep going in life! 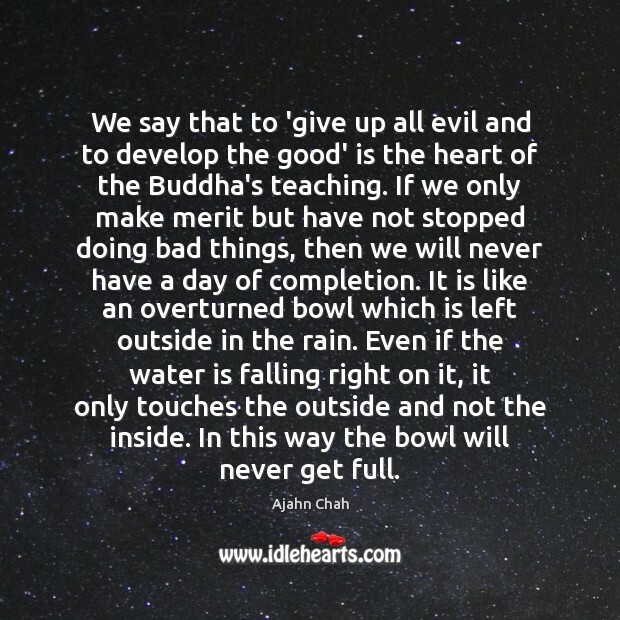 We say that to 'give up all evil and to develop the good' is the heart of the Buddha's teaching. If we only make merit but have not stopped doing bad things, then we will never have a day of completion. It is like an overturned bowl which is left outside in the rain. Even if the water is falling right on it, it only touches the outside and not the inside. In this way the bowl will never get full. 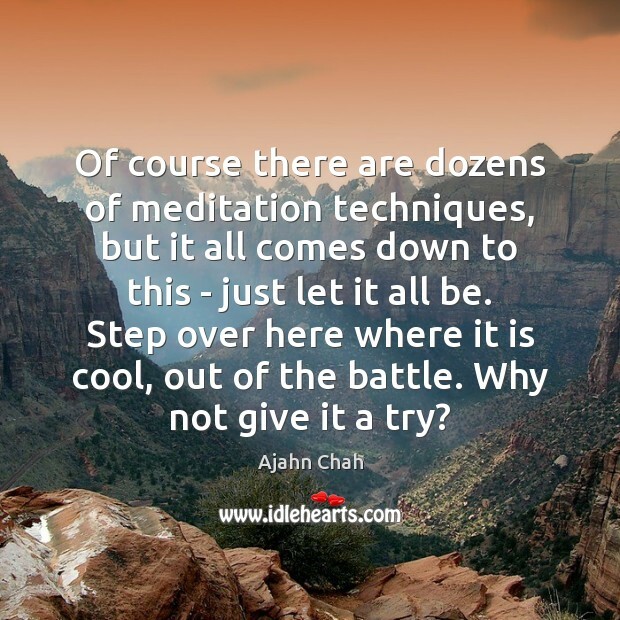 Of course there are dozens of meditation techniques, but it all comes down to this - just let it all be. Step over here where it is cool, out of the battle. Why not give it a try? Practicing meditation is just like breathing. While working we breathe, while sleeping we breathe, while sitting down we breathe... Why do we have time to breathe? Because we see the importance of the breath, we can always find time to breathe. 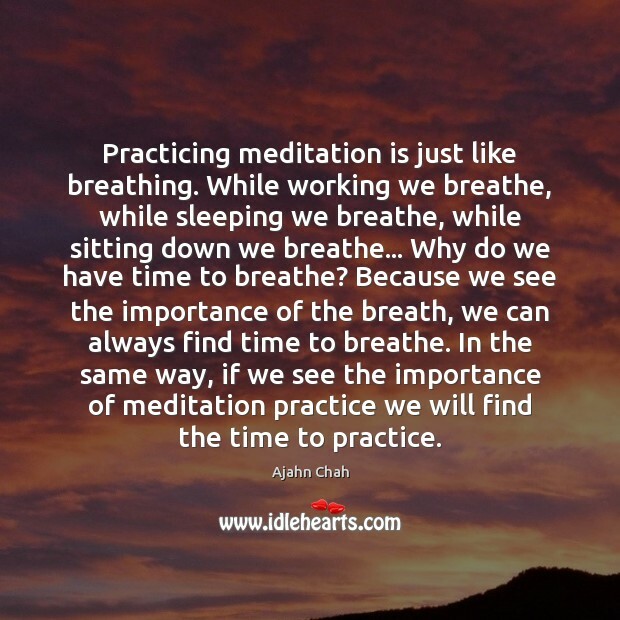 In the same way, if we see the importance of meditation practice we will find the time to practice. 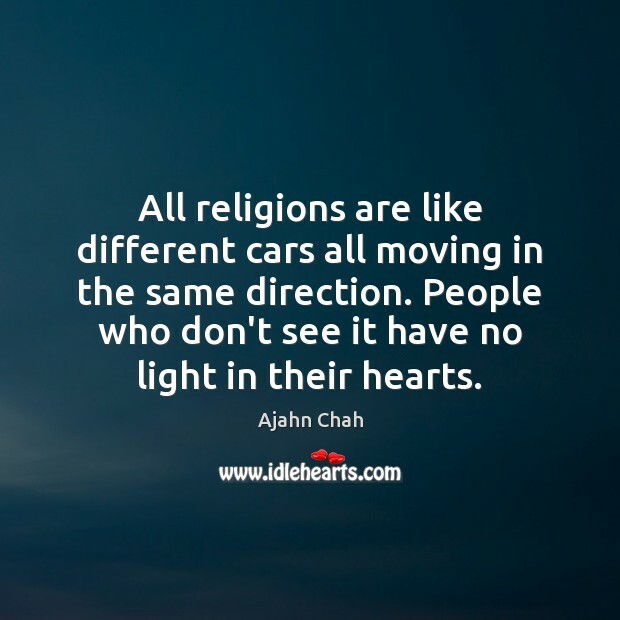 All religions are like different cars all moving in the same direction. People who don't see it have no light in their hearts. 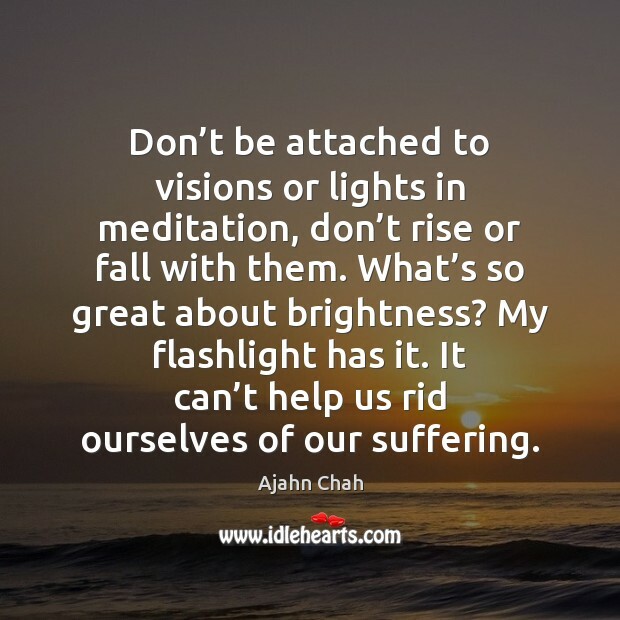 Don’t be attached to visions or lights in meditation, don’t rise or fall with them. What’s so great about brightness? My flashlight has it. 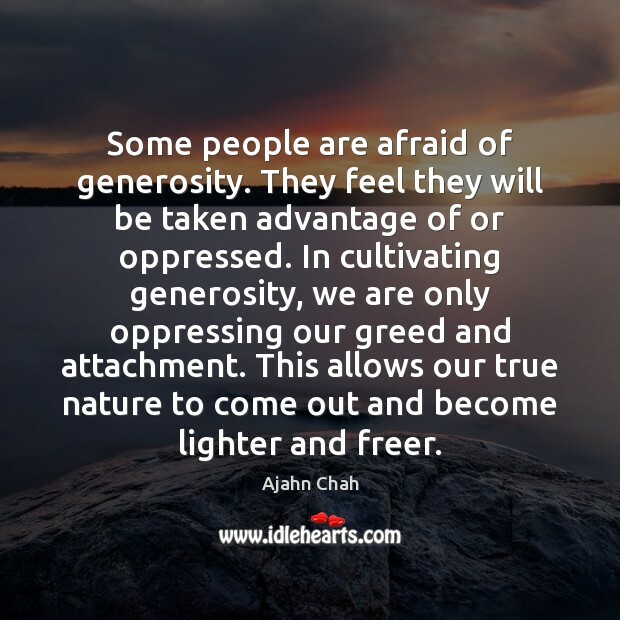 It can’t help us rid ourselves of our suffering. Read yourself, not books. Truth isn't outside, that's only memory, not wisdom. 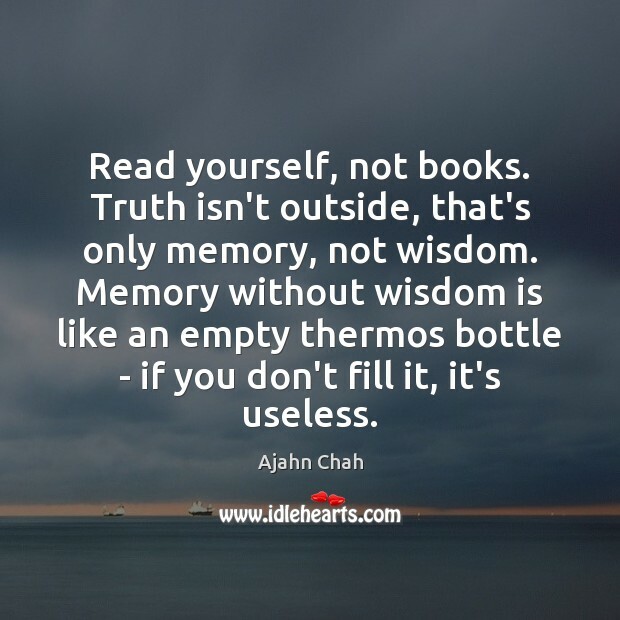 Memory without wisdom is like an empty thermos bottle - if you don't fill it, it's useless. 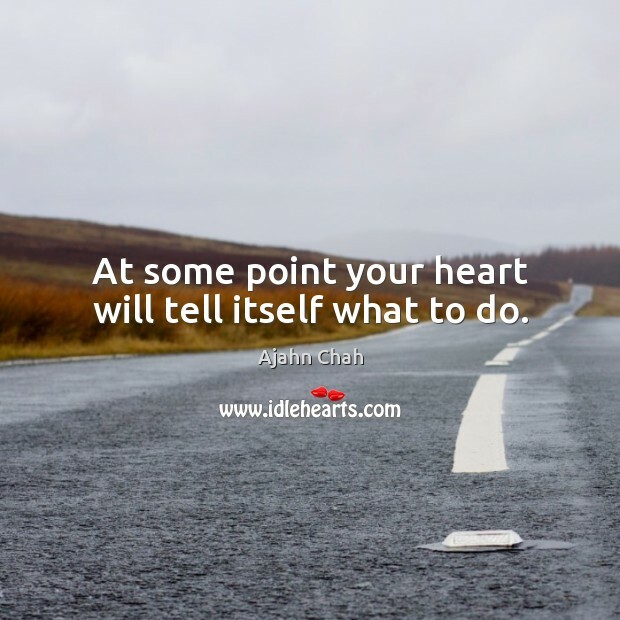 At some point your heart will tell itself what to do. Peace is within oneself to be found in the same place as agitation and suffering. It is not found in a forest or on a hilltop, nor is it given by a teacher. 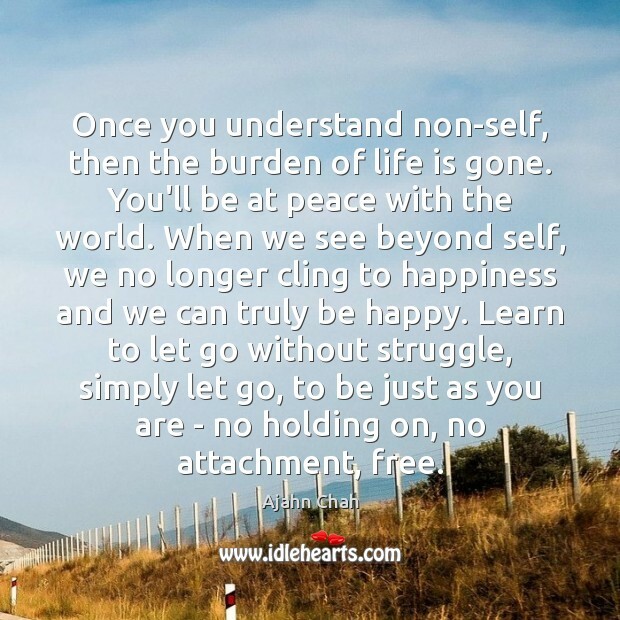 Where you experience suffering, you can also find freedom from suffering. 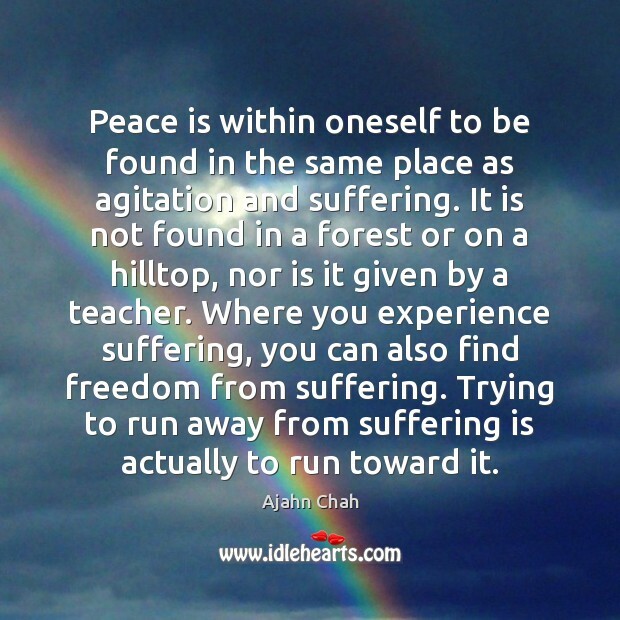 Trying to run away from suffering is actually to run toward it. 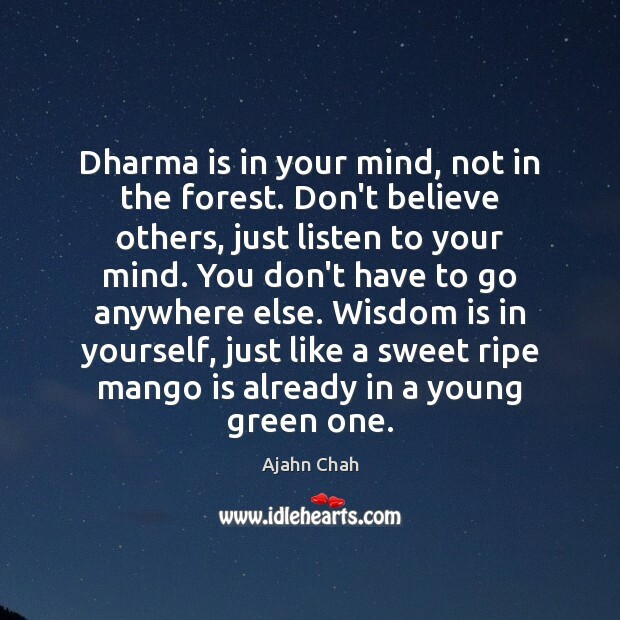 Dharma is in your mind, not in the forest. 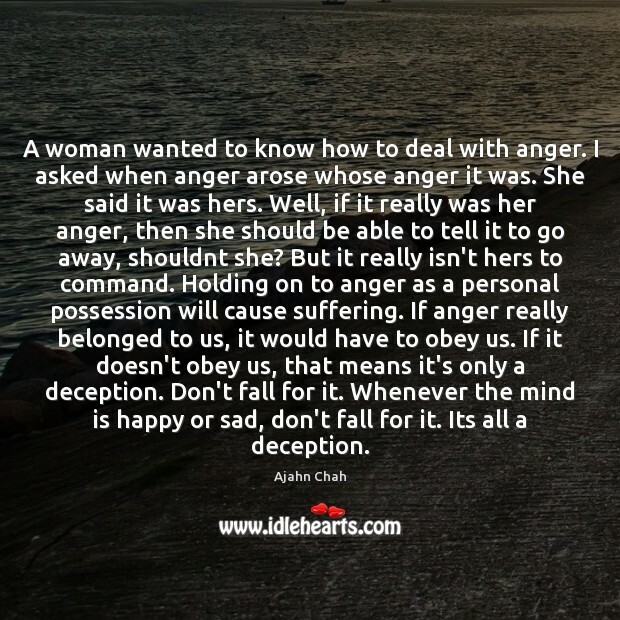 Don't believe others, just listen to your mind. You don't have to go anywhere else. Wisdom is in yourself, just like a sweet ripe mango is already in a young green one. 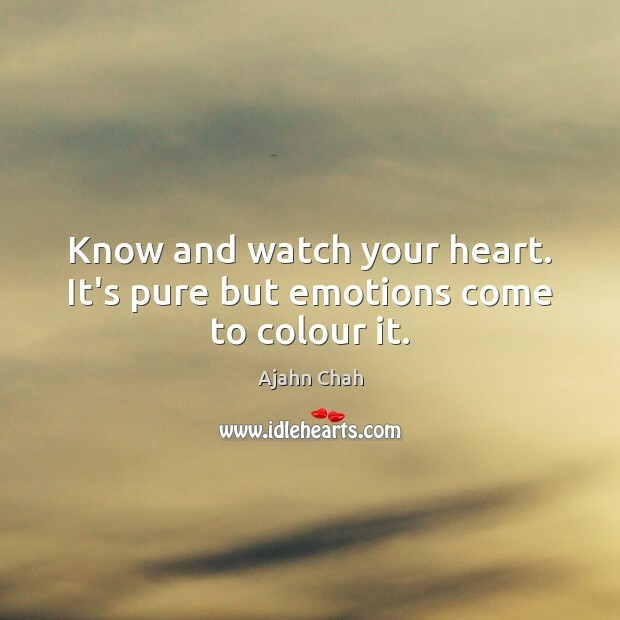 Know and watch your heart. It's pure but emotions come to colour it. 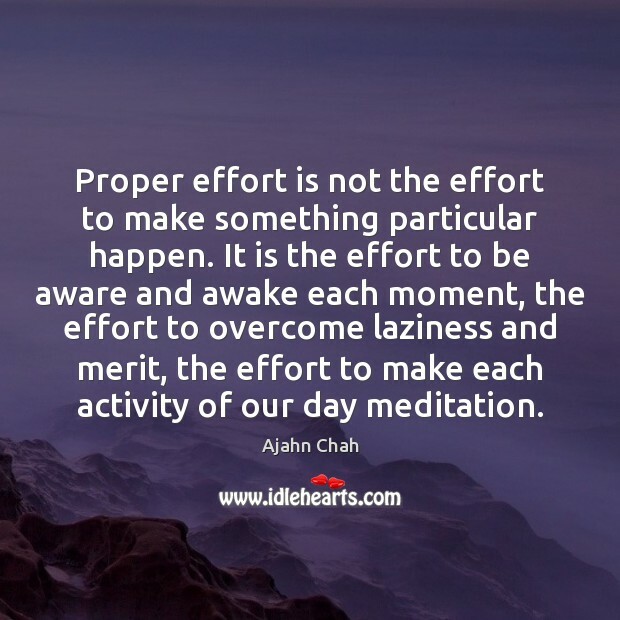 Proper effort is not the effort to make something particular happen. It is the effort to be aware and awake each moment, the effort to overcome laziness and merit, the effort to make each activity of our day meditation. 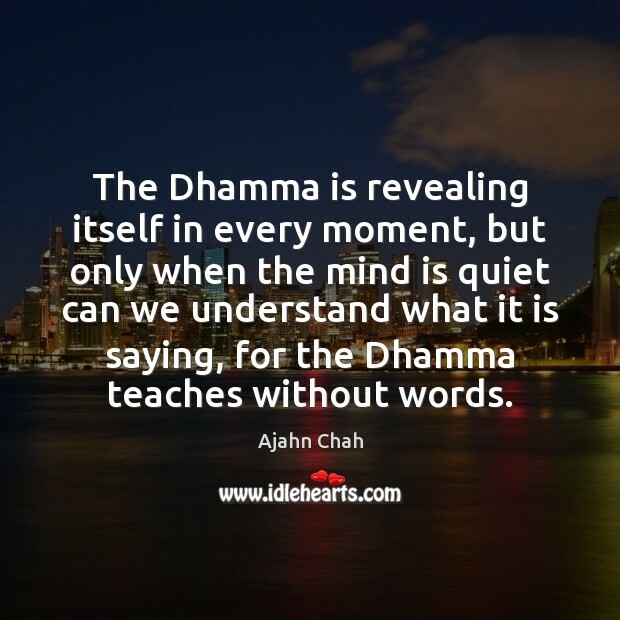 The Dhamma is revealing itself in every moment, but only when the mind is quiet can we understand what it is saying, for the Dhamma teaches without words. Do not try to become anything. Do not make yourself into anything. 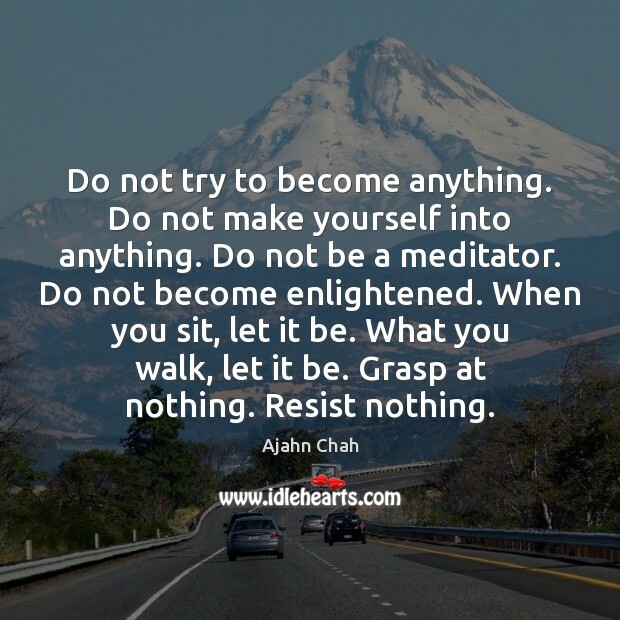 Do not be a meditator. Do not become enlightened. When you sit, let it be. What you walk, let it be. Grasp at nothing. Resist nothing.